NEW YORK—Following weeks of reports in NYC newspapers of glitches in the city’s 911 system, the Bloomberg Administration answered its critics in a three-hour-long marathon City Council hearing on June 21. 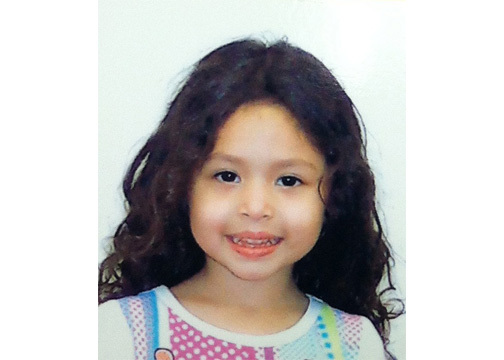 The hearing was, in large part, prompted following the death of four-year old Ariel Russo who died on June 4 after being struck by vehicle whose unlicensed driver had fled from police earlier in the morning. Russo and her grandmother, who was also struck, waited eight minutes for an ambulance. Critics say the delay was caused by upgrades to pieces of the city’s 911 system on May 29, which handles roughly 30,000 calls per day. The city defended the upgrade, saying their data showed the technology worked. Deputy Mayor Cas Holloway broke from tradition during Council hearings. Rather than sitting and reading from a prepared statement, he stood and spoke ad-lib, using a PowerPoint presentation. Holloway spent approximately an hour giving the Council members a detailed account of the complex 911 call-taking process, discussing changes in the new system compared to the old, and showing the re-creation of the data during the Russo call. The initial call for help following the Russo incident did not come through a citizen calling 911. A police officer in the field called into an NYPD dispatcher on a police radio, bypassing a 911 call taker altogether. It took 32 seconds from the time the police officer radioed into the dispatcher for an incident to be logged into the Emergency Medical Service (EMS) response relay. An EMS worker is assigned to monitor those relay boards, create incidents on the EMS side, and then dispatch the appropriate response based on the severity of the call. According to EMS records, the worker whom the call was assigned to was logged off for a scheduled break. The call sat on the board for 3:57 seconds before a new operator logged in, and within five seconds dispatched an ambulance. The dispatching time took 35 seconds and it took 3:33 seconds in travel time for the ambulance. The total duration of the response time was 8:42. Holloway said the city is conducting a thorough investigation, interviewing all possible witnesses, reviewing all types of data, and monitoring devices to determine the cause of the delay. On May 30, an article in the New York Times reported computer systems failed on the day of the switch over to the new 911 call system, causing operators to use pen and paper on two separate occasions. Holloway acknowledged the issue, saying the system was down for 16 minutes and 18 minutes. Operators went to a pen and paper method, the backup method used since 1969, which includes pre made forms. “It’s not like they are using post-it-notes,” Holloway said. Holloway said the pen and paper method had been used for one hour every other week under the old system while maintenance was performed, because the archaic systems, many of which were from the 1970’s or 1980’s, could not function during maintenance. Holloway said 15,000 paper slips were being used each year due to maintenance, something that would not be needed with the new system. He reported no paper slips had been used since last week. During the Russo call, no paper slips were being used. Response times to 911 calls have been an issue in New York City, dating back to the terrorist attacks on September 11, 2001. Following the blackouts of 2003, the city took on the task of revamping the system. Ten years later, that process has come to fruition. The changes have allowed the system to handle higher volumes of calls without crashing, as evidenced during Hurricane Sandy when the system took on a record 20,000 calls per hour. Wait times were up simply because the number of dispatchers paled in comparison to the calls, however, the system did not crash as it had during the blackouts, and following 9/11. Even with the improvements, City Council members and concerned citizens alike have cried out for data showing 911 response times from the moment the call is placed, to when action is taken on the ground. Currently data presented in the annual Mayors Management Report does not incorporate the time a caller spends with a 911 operator before a unit is dispatched. The Uniformed Firefighters Association has called the data false. The City Council proposed a law which would require the FDNY to include call processing time in its reports. Holloway said the old system, which some council members had been arguing to go back to, did not have a way to calculate the processing time, hence it was not done. Holloway reported that the new system will allow the city to time all 911 calls “end to end.” The new data will break calls into 11 categories, and break down five parts of the call to see where improvements can be made. The new call tracking is expected to roll out in six to eight weeks. New Yorkers expect the 911 system to work perfectly every time, because, as Sophia Russo, mother of four-year old Ariel found out, precious seconds count. “Whether it is human error or a glitch in the system, the end result is a delay in getting the necessary help, care and treatment to the public — and in this case, my daughter, which I believe may have been a substantial factor in her death,” said a tearful Sophia Russo. Holloway said no one takes 911 response times more seriously than Mayor Michael Bloomberg. “You have my commitment on behalf of the mayor to address any issues so it does not happen in future,” Holloway said.